My daughter Katie came across this 1973 Ford Mustang in Williamsville last week. It was the final year for the big Mustang, before transforming into the Pinto-based Mustang II for 1974. 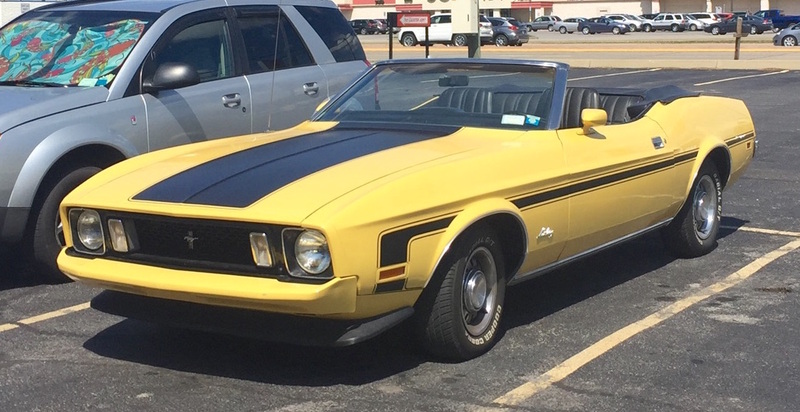 Ford produced just under 12,000 convertible Mustangs for MY 1973; I don’t imagine that a lot of them are still on the road, and of those that are, probably not too many look as good as this one does 44 years later.